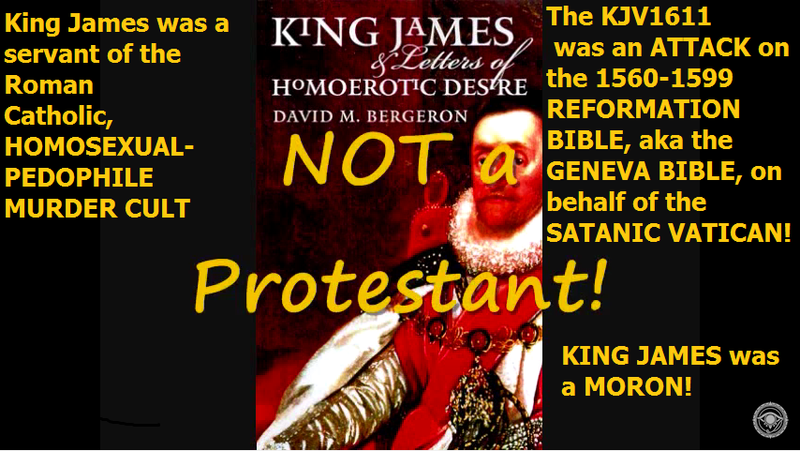 King James Bible 1611 is Masonic!! 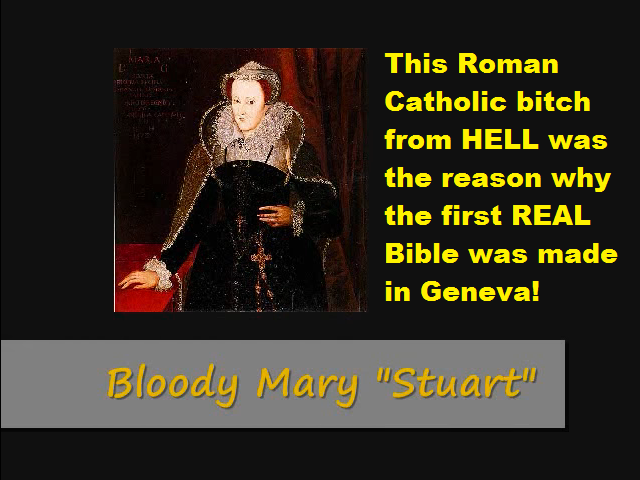 The Bible, Satan HATES the MOST: Geneva Bible - Take that, SATAN! Who 'authorized' the KJV? The FREEMASON King James himself! The Geneva Bible was NOT a product of John (Jean) Calvin! Calling the Geneva Bible a product of 'Calvinism' is a LIE! his Name? what shall I say unto them? 14 And God answered Moses, I AM THAT I AM. Also he said, Thus shalt thou say unto the children of Israel, I AM hath sent me unto you. JESUS from YESHUA means 'I AM SALVATION'. JESUS is GOD in the capacity of Savior. 2 Thessalonians 2:3 1599 Geneva Bible (GNV) 3 Let no man deceive you by any means: for that day shall not come, except there come a departing first, and that that man of sin be disclosed, even the son of perdition. The KJV REMOVED the pre-trib-rapture from 2 Thessalonians 2:3 and changed it into something else!